imtomtomim had the most liked content! What type of shot should I play in this situation ? I am thinking like spudmonkey. Hit a club that gets you between 125-150 from the center of green, (right before the fw bunker). I would most likely hit a 5i. Since you sound a bit worried about the right side, start on the right side of the tee box. Now for the last bit of reliability, punch that ball low. It's not like you need to stop it immediately and keeping it low gives it the least chance of curving far off line or losing the fight with the wind. I do want to be on the left side of the fairway so I can have that strip of apron to run up, but really it wouldn't matter too much. From that kind of range, I know my shots will stop pretty close to the ball mark. Another reason I wouldn't use driver is the fact that I don't want to be hitting a 'tweener pitch shot on the first hole. I want to get an idea of how my short irons are flying that day. I can say, hey, my 9i went 135 instead of 132, maybe I'm a touch longer today. Full swing short irons, for me, are where my game is strongest and most reliable. Setting those shots up, sets me up for more scoring opportunities. Anybody hitting a 4 Wood? I've got a nickent 4dx 4 wood, 17*. While I love my set, that is the only club that will really have me missing it when it wears out/breaks. It gives me the most beautiful ball flight out of any club. My stock shot goes about 245. It takes off low and then half way there, it spins up to the sky and drops down real sharp and stops dead. Any roll out is from the slope. I can hit a green with no worries of the ball bounding away at all or playing break. You just figure out where you want the ball to stop, and hit it straight to it. 6i is about the longest club that I can sit the ball next to it's ball mark, until the 4w. It is also extremely forgiving. The only gripe I have is the lack of precise distance control, or rather the ability to shave off some yardage. However, it is a wood with a graphite shaft, and I'm aiming for a target 245 away. I can deal with it. Having it stop on that number every time isn't so bad. Why are you not playing scratch? Right now, I think the only reason I'm not scratch is because I don't get to play enough. This past year, I only got to play a few streaks, but despite the lack of practice, the evolution of my mental game, approach to the course, and understanding of my tendencies got me scoring most of my rounds better than +3, going under par a handful of times. The game has really seemed easier since I've gotten comfortable with the process of golf (still kind of new, 4th season) and understanding what leads to good scores. When I first picked up the game, I practiced 2 hours a day, 5 days a week. While it helped me build a dependable swing, I found I hit a wall on scoring quite quickly. To shoot lower numbers, I had to be more efficient in getting the ball in the hole. A big part of it was learning how to read the movement on the greens, not only for putting, but on approach and recovery. Additionally, it was learning the best angles to set up from. I'm very technical in my thought process, especially when it comes to sports. While the technique in my movements is quite important, getting away from that focus and re-applying that technicality towards my approach to the course has revamped my game for the better. If I can get out there more next season and sharpen my physical control a bit, I think I can do it. I'll also be done with grad school by then and I know exactly where I'm going to spend some of that time. Experience pays off, and I'm ready to reap the benefits of that soon! Is there something off about my distances? Well, I actually have had the same issue nagging at me for the past 2 years, with close to the same distance as you. On some holes that I've paid attention to my partners, I have noticed that I can out drive the group by 20-30 yards and still be hitting the same club into the green as the next guy behind me. Although this is a bit disconcerting, remember, irons are for control and precision. Shorter distances are a good thing. Especially later in the rounds when I find a few holes to let the driver fly (290+ carry), it's nice to have lots of options for a full swing under 150 to the green. I also think that shafts may have something to do with it. My hybrid, wood, and driver all have graphite shafts in it so I might swing them faster than I would my steel shafted irons. My 4i goes 195 in the air, but my 3h (24*) goes 220. That's probably my biggest weakness in my setup and where my distance gap jumps up quite a lot, but it transitions into a 245 yard 4w (17*) and into a 270 yard driver. All while my 8i is 155, like you. I'm also not sure how much you practice, but I'm still using the set I started playing with. When I started golf, I hit the range 5 days a week for about 2 hours a day. I may have worn out the irons a bit. Maybe I'll see new numbers once I update my set (in a few years once I'm done being a grad student), but really it's not that important because with these distances, I'm still on a continuing upslope of improvement in my game and my scoring. Are you a single digit HC player that hit the wall......are you stuck?..... you can't go lower? Do you want to go lower? First one I played, 4 putted the first hole, lipping out every attempt. Crap scared out. Now, when I do light lifts at home, I hit putts during my rest interval to acclimate to the adrenaline and twitchiness. I also noticed that my scores were better on harder courses, until I played a few short easy ones in a row. 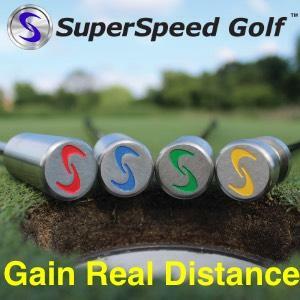 I realized that the longer distances only put me in more favorable approach spots because I would use the driver whenever I could, and if I could find the same spots on shorter courses, I'd have an easier game. The tee-shot layup has changed my game. That guy sounds exactly like me, even the asian part. Too many 3 putt par's to show for it. However, that was closer to how I started the game up to 2 years ago, my short game is pretty decent now after all the refocused practice. However, where it really turned around was the course strategy. I now play by the thought, if I can't get within 10 yards of the green, lay up the tee shot to a full short iron/wedge. I can depend on those full swing numbers much more than a shot where I need to shave off distance and get artsy. If you're distance control is a bit shaky that day, your whole scoring that day is shaky. Once I figured this out, I just started bleeding strokes off my scores, birdies falling like mana from the heavens, all that good stuff. That, and making sure that 2nd putt falls. ever watch Tin Cup where he chips a 7i down the driveway? How to hit a true TW Stinger? I know this is an old thread, but whoever was saying they could get 2 bags in a smart car, it's because it's designed like a golf cart! It looks like it was meant for it. You should be able to drive that right around the loop. First Eagle! Tell your first Eagle story! First one was a straight out par 4, 300 yards. Went for it and landed pin high in the rough to the right. Was a firm day so I got out the lob wedge and flopped it, one hop and sunk straight down the stick. Actually, most of the eagles I've had were on par 4's, either holed out or I hit the green in 1. Most of the par 5's I get a chance, I usually miss the putt. I think it's because I get antsy when I see I got it there, but still need to wait for everyone else to get on and it kills the rhythm and focus. I'm working on it. Cards on the table. How did you really feel on Sunday. Tiger v Rory. I was amazed at what Tiger did. I really didn't consider him in contention and all of a sudden, he makes this huge rush. I did want Rory to finish it up on top, but on a day where most weren't scoring very low, seeing a guy come from nowhere to second place is pretty exciting. It would have been one of the biggest deficit comeback wins ever. Very fun to watch. Tonight wasn't his night. The heat were all over him, they let him run in and then smother him. His speed is such an advantage though, but it gets him in trouble. Most of the turnovers I see are him rushing in and then having no option and getting shut down. It's such a great story, the kid finally gets a chance on the big stage and rises to the opportunity. I hope he keeps it up and finds his place in the game. I approach illness just like you do Ben. I kind of just tough it out and let it be a workout for my immune system. Back in college, I got strep 3 separate times my first year (went a little crazy on the courting game). Anyways, I discovered my remedy was ibuprofen for the fever and candy bars. I'd scarf 2 milky ways from the vending machine and I'd feel like new. Sometimes I'd just slurp down a spoon full of honey, the thickness does offer a little relief as it helps coat my throat so my breathing doesn't irritate it as much, but that doesn't last too long. I mainly go for the ibu as it will bring the swelling down and help relieve some pain. A little humidity may also help. Hot steam from the shower or a cup of tea does help ease the pains of breathing.